Do you have a marina that could use a service lift? Would you like to be able to load and launch a variety of boats? Would you like a nice revenue center? The No Profile Service Platform Lift is the answer. 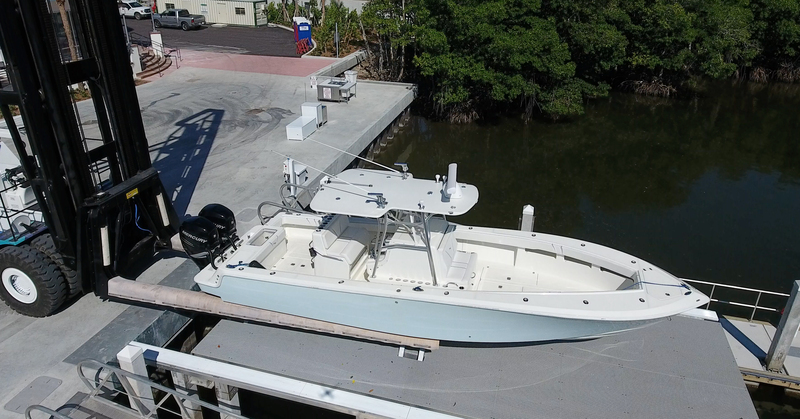 With the ability to lock the lift in place, this will allow a rolling load to be moved on and off the lift.The No Profile Service Lift can create a revenue center for your marina by allowing your staff to service, maintain, and detail your clients boats and not take up valuable yard space. These photos show a 10,000 lb. 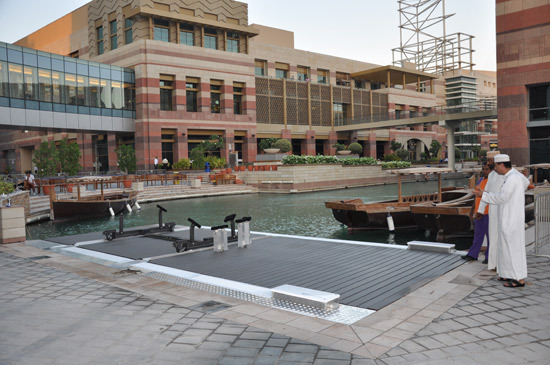 Service Lift in a marina in Dubai. It allows them to lift a boat and roll it off the platform. Give us a call and we can discuss your needs. 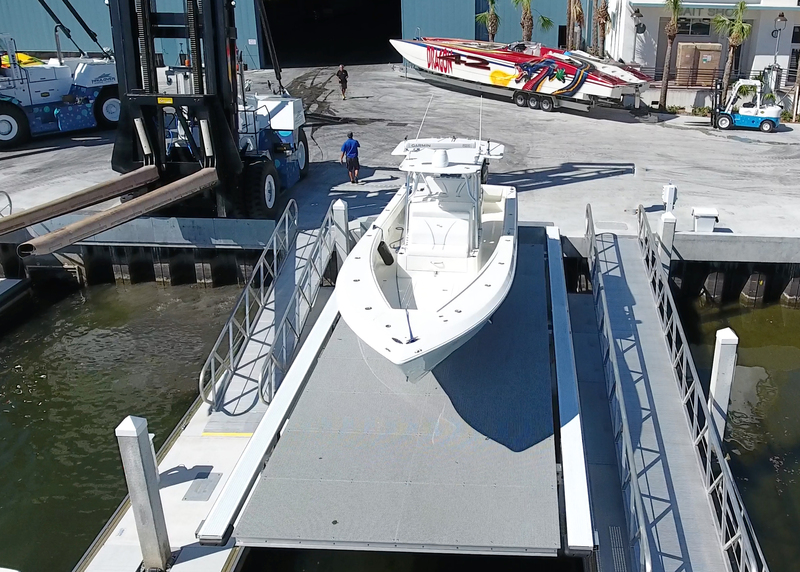 Another factor in the development of the No Profile Boat Lifts for the marina environment has been driven by the incredible advancements of outboard technology! Boat manufacturers are building bigger and bigger boats and powering them with outboards. 20 years ago, I don’t think you could find a boat larger than 30’ using outboards. With boats getting longer, lighter, and faster the price of that boat can reach a million dollars or more. These owners will not want to leave their boats in the water! This has led to the explosion in dry stacks and the newest shift in marinas, as I see it, is the need for boat lifts. We have seen marinas removing wet slips and adding boat lifts to meet the demand of boat owners with these larger boats. We recently installed 20 lifts at Marina Jacks, in Sarasota and they are currently removing more wet slips and adding more No Profiles.